Address: 777 West Lake Mead Dr. Restaurants : Amigo Mexican Cantina, Festival Buffet, Fuego, Beach Cafe, Baja. Standard room amenities : Air conditioning, alarm clock, cable TV, desk, hair dryer, PPV movies, electronic door locks, radio, telephone with voice mail. Hotel amenities : Luggage service, maid service, wake-up call. 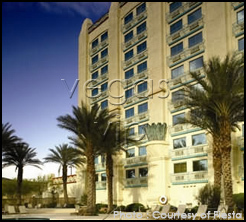 At Fiesta Henderson, guests can experience a little taste of Mexico at this popular resort. 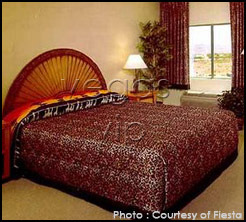 With dazzling décor and free entertainment, the Fiesta Rancho provides a feast for the senses. Fiesta Henderson invites guests to experience why it calls itself the 'Royal Flush Capital of the World' with over 1,300 slots and video poker games. 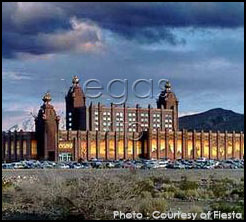 Fiesta Henderson also offer 14 Table Games, Bingo, Keno, a new poker area, and a Sports Book. When it comes to gaming guests can find something for everyone. When it comes to dining at the Mexican-themed resort, try Fuego, which features a fine selection of steak and seafood. Or visit Amigo's Mexican Cantina, where you'll enjoy Mexican staples such as delectable margaritas or some guacamole made tableside.